The term “alumina” refers to aluminum oxide – the most dangerous form of the heavy metal to human and plant life. It’s important to make the distinction that drinking soda from a lined aluminum can is nowhere near the infinitely higher health risk of breathing, inhaling or otherwise ingesting aluminum oxide suspended in the atmosphere as it falls from a sky full of aluminized jet aircraft aerosols. We attempt to explain the physics of how jet fuel can be formulated to actually “CONTAIN” aluminum in the form of trimethylaluminum in order to spray aluminum oxide aerosols that originate directly from additives already in the jet fuel. 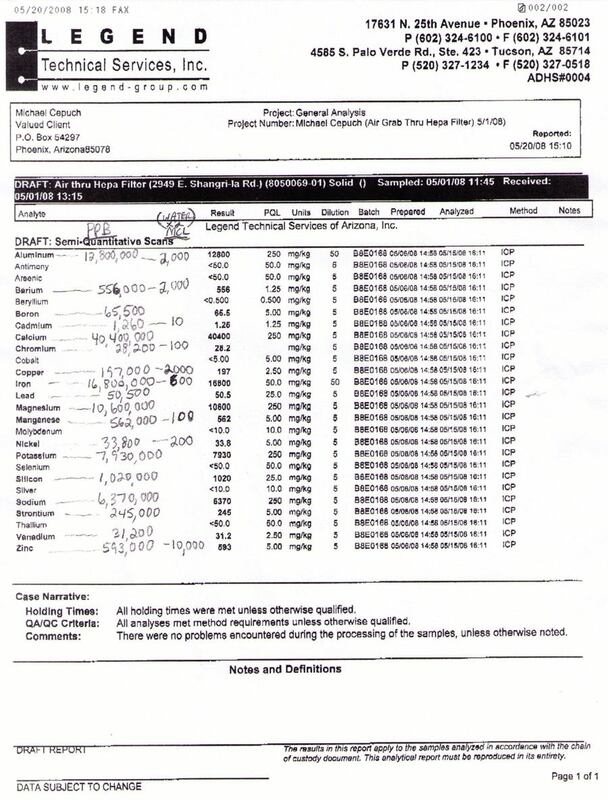 In 2010, Geoengineer, David Keith contracted Aurora Flight Sciences (AFS) to perform a cost analysis for Geoengineering based on the TMA spray model. AFS determined that the Boeing 747 would be the most efficient aircraft since about half of the world’s cargo is currently transported by 747 aircraft.. The melting point of Aluminum is 660 deg C. while the combustion chamber in a 747 engine is over 1,800 deg C. This combination would cause any aluminum in the fuel supply to vaporize on cumbustion and for a while longer as it exits the engine exhaust as thrust. The vaporized aluminum remains transparent and is not immediately visible as a telltale white streak due to the unavailability of oxygen to allow the aluminum vapor to transform into it’s final stage as “aluminum oxide”. Observers are understandably confused when the temporary ”invisibility” of the actual chemtrail mimmicks the appearance of a normal contrail. Then, when the aluminum oxide trail finally turns white and continues for miles, the numerous agents of disinformation can easily claim that the trails are no more than “persistant contrails”. With a record one (1) million top secret clearances attached to military programs in 2011 the opportunity for the public to fall victim to “scientific disinformation” in mainstrem media, is very high. 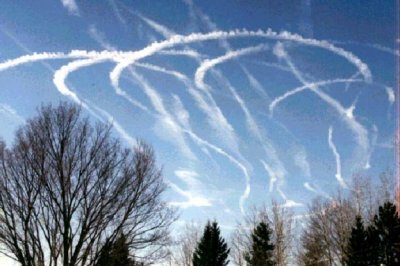 Since security clearances act like a gag order to honest and qualified experts, the disinformants have more free reign than ever to cajole the public by claiming that a whole sky full of tic-tac-toe aerosols is nothing more than a bunch of “persistant contrails”. In order to avoid spraying chemtrails on landing, takoff and low altitude, a second, but manageably small fuel tank is required to be installed in the cargo area. The calculated size for the 2nd tank barely compromises the ability of the aircraft to complete its mission as a cargo transport aircraft. The second segment of the video is my own personal observation of a quriuos jet aerosol spraying event witnessed over Alachua County, Fl that supports the analysis made in the first video by Youtube Channel ower, EnergySupply2008. WHAT IS TRIMETHYLALUMINUM? - TMA is a combination of hydrocabons that closely resembles gasoline. - TMA is used in weather sounding rockets where the white smoke provides a “tracer” for scientists to determine wind directions it various altitudes above ground level. Aluminum Oxide dust formed when this compound is oxidized has caused toxic effects to the liver and kidneys in test animals. Exposure to aluminum oxide dust (which forms when trimethylaluminum burns) is not known to be acutely toxic. Trimethylaluminum is not listed in the IARC, NTP or OSHA Subpart Z as a carcinogen or potential carcinogen. Chemtrails With “Thumbprints” that appear to be under the infulence of an electromagnetic field. Trimethylaluminium is the chemical compound with the formula Al2(CH3)6, abbreviated as Al2Me6, (AlMe3)2 or the abbreviation TMA. This pyrophoric, colorless liquid is an industrially importantorganoaluminium compound. It evolves white smoke (aluminium oxides) when the vapor is released into the air. TMA is also used in semiconductor fabrication to grow thin film, high-k dielectrics such as Al2O3 via the processes of Chemical Vapor Deposition or Atomic Layer Deposition. TMA is the preferred metalorganic source for metalorganic vapour phase epitaxy (MOVPE) of aluminium-containing compound semiconductors, such as AlAs, AlN, AlP, AlSb, AlGaAs, AlInGaAs, AlInGaP, AlGaN, AlInGaN, AlInGaNP etc. Criteria for TMA quality focus on (a) elemental impurites, (b) oxygenated and organic impurities. What is a compund semi-conductor? A polymer is a large molecule (macromolecule) composed of repeating structural units. These subunits are typically connected by covalent chemical bonds. Although the term polymer is sometimes taken to refer to plastics, it actually encompasses a large class comprising both natural and synthetic materialswith a wide variety of properties.. This is the final Lab Report RE: air material analysis. This was a 28 day collection via HEPA filter, 8 hours per day collection. Please note the extremely high Aluminum reading 12,800,000 ppb. The actual lab report is below. Please let us know if you have research material surrounding this 'report'. All ideas are encouraged. Previous analysis records are rain, surface water and soil. 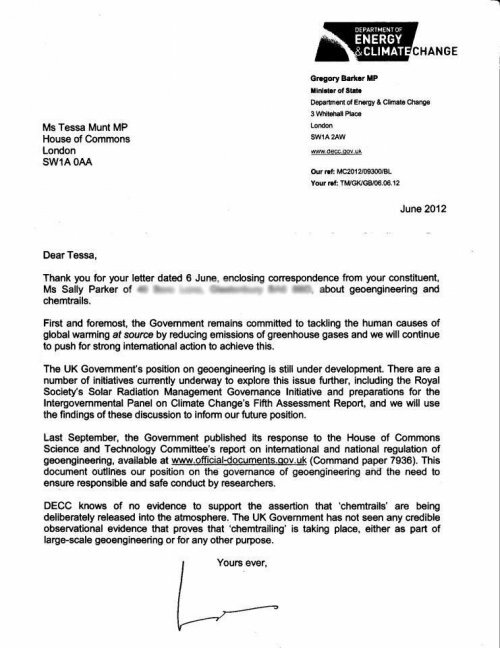 UK House of Commons: "The Regulation of Geoengineering"
""The UN is the route by which, eventually, we envisage the regulatory framework operating but first the UK and other governments need to push geoengineering up the international agenda and get processes moving."" ""Page 942-3: A "Planetary Regime" should control the global economy and dictate by force the number of children allowed to be born"". ""Abstract: A combustible composition for generating aerosols for the control and modification of weather conditions consisting of a readily oxidizable substance selected from the group consisting of aluminum, magnesium, alkali-metals and alkaline earth metals; an oxidizing agent selected from the groups consisting of: (a) sulphur and sulphur yielding compounds; and (b) organic and inorganic nitrates, alkali-metal and ammonium chlorates and perchlorates; The molar ratio of the oxidizable substance to the oxidizing agent being between 1.5:1 and 3.5:1 and a stable hygroscopic solid which does not directly participate in the combustion process of the combustible composition, said hygroscopic solid being present in an amount up to 40% of the total weight of the combustible composition, the oxidizable substance, the oxidizing agent and the hygroscopic substance having a particle size in the range of from -140 to +270 mesh, and a primer initiating the combustion of said composition whereby during combustion, a finely dispersed aerosol smoke consisting of moderately hygroscopic condensation nuclei, and a non-hygroscopic gas are simultaneously evolved, said gas acting to disperse said nuclei."" Derwent Title Reducing atmos. warming due to green effect - by dispersing near IC absorbing far IR emitting particles in stratosphere. 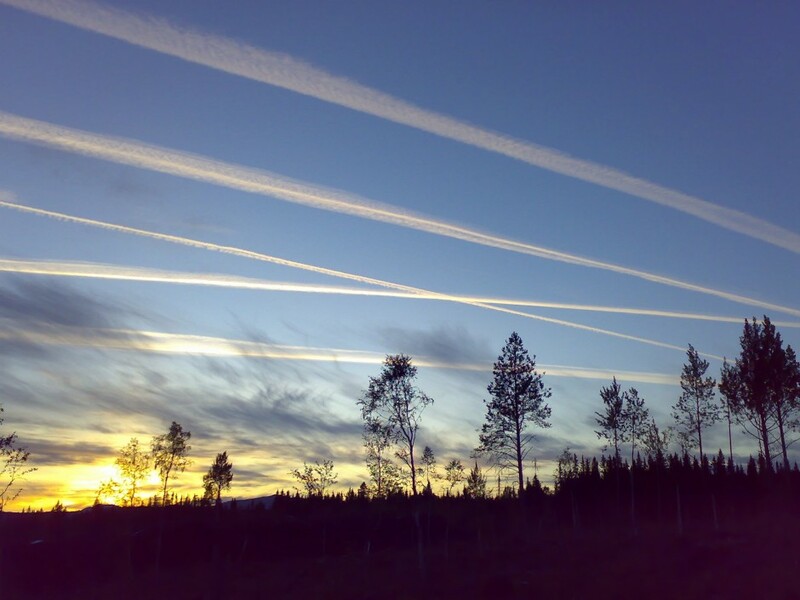 "Geoengineering" or "climate engineering" may be defined as the deliberate large-scale manipulation of climate. The study of such techniques has been proposed in order to prepare for the cases that attempts to limit projected climate change by the reduction of greenhouse gas concentrations may fail or that consequences of climate change may prove worse than expected." 9.1. "" Protection of the atmosphere is a broad and multidimensional endeavor involving various sectors of economic activity. The options and measures described in this chapter are recommended for consideration and, as appropriate, implementation by governments and other bodies in their efforts to protect the atmosphere. ""